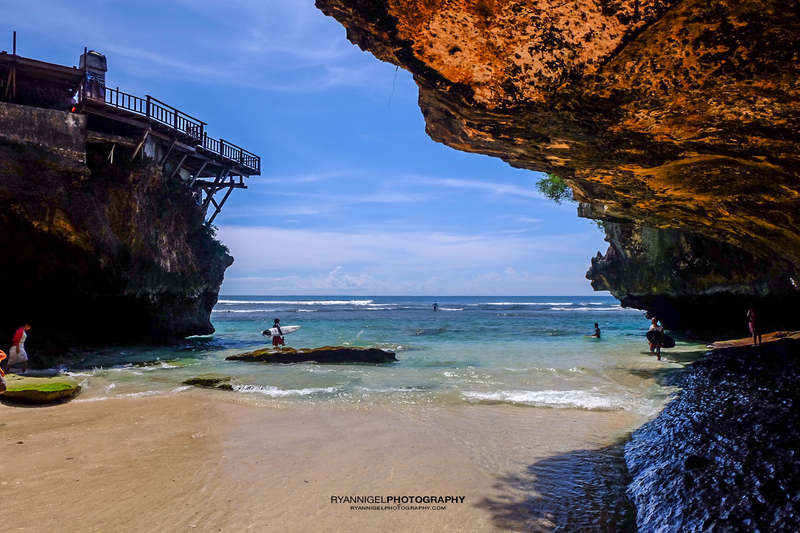 Blue Point Beach, the original name of this beach is Suluban. 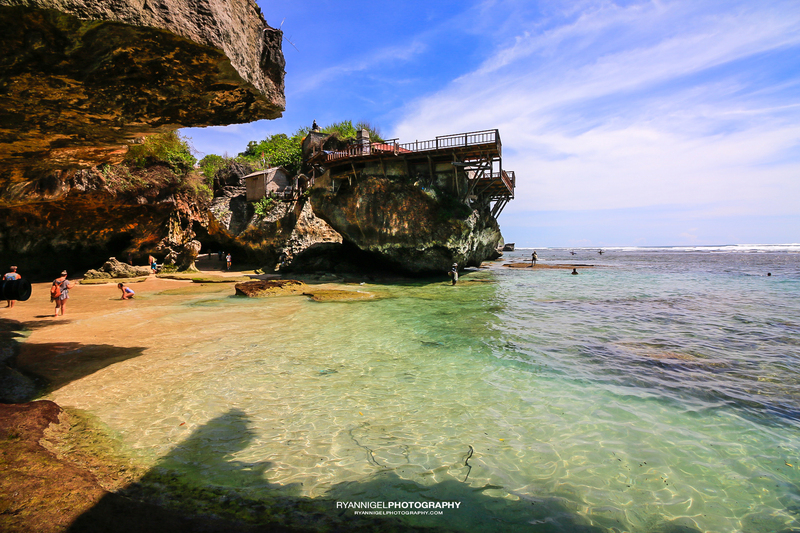 Near the beach there is a hotel called Bluepoint Villas, so Pantai Suluban is better known as Bluepoint. 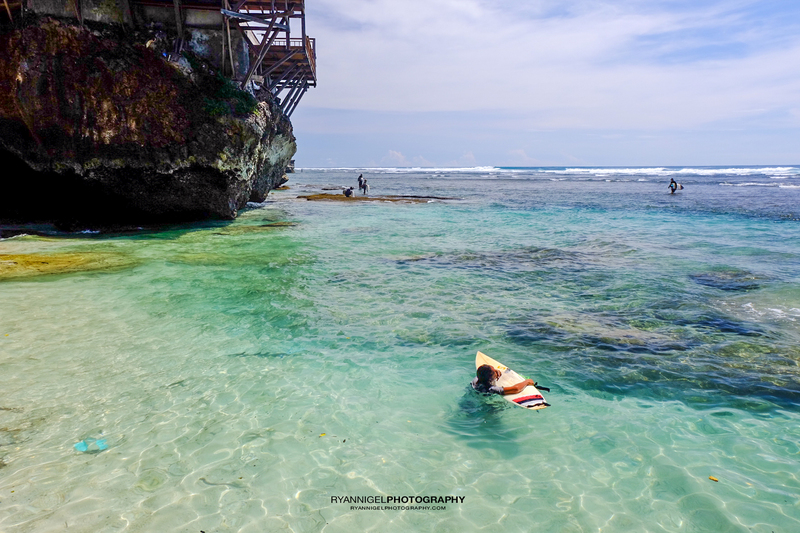 The hotel is quite well known outside Bali and was used for shooting advertising a well known drink, starring Miss Universe. 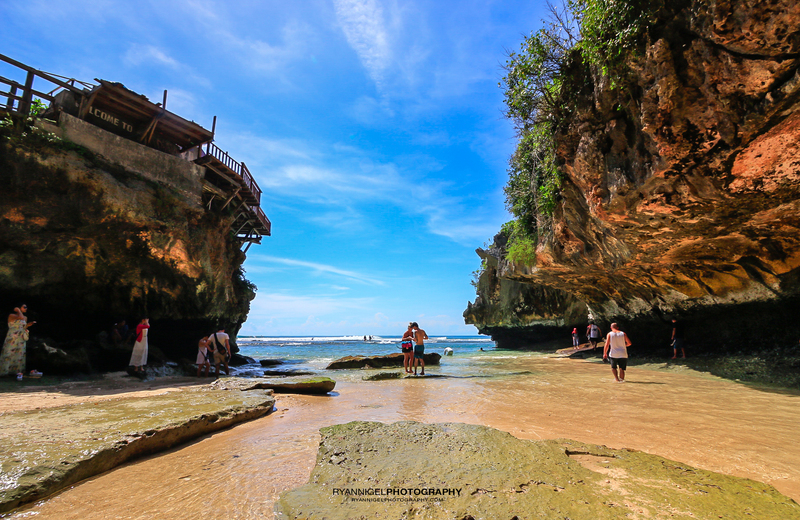 ‘Suluban’ adoption of the word ‘mesulub’ which in Balinese language means ” to walk through a gap in the cliff”. 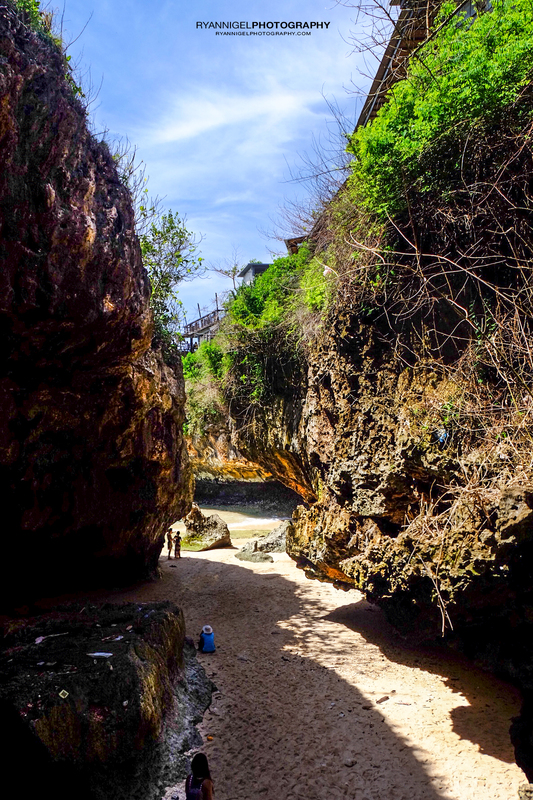 This may be because the road to this beach goes down through a narrow path between the cliffs. 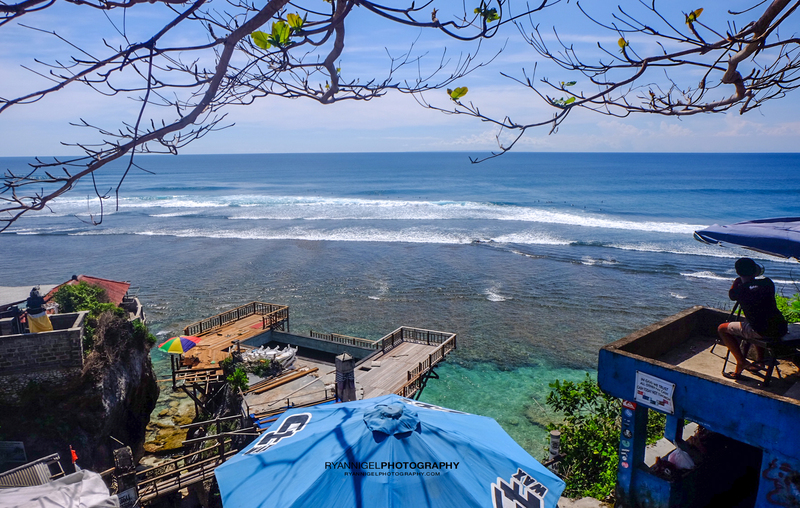 Blue Point Beach or Suluban offers tons of small surf shops, restaurants and a stunning view over the ocean. 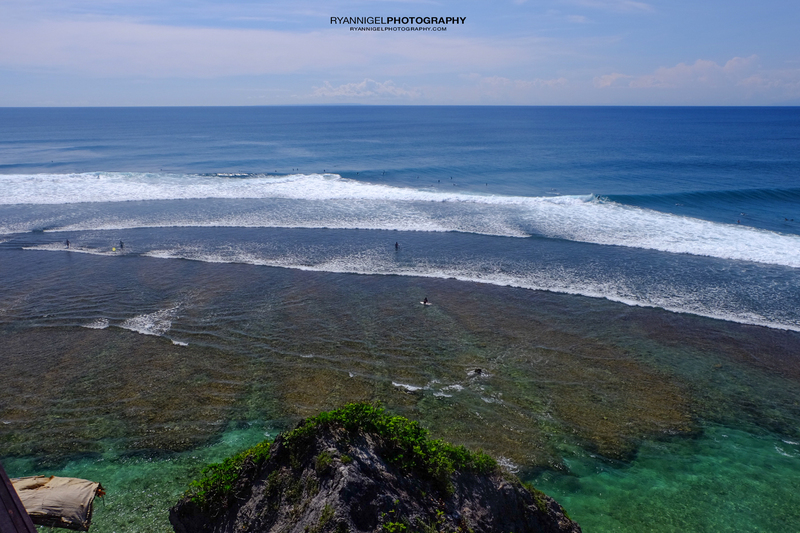 From the top of the cliffs you can see the many surfers doing their things. The atmosphere is very laid back and relaxed. From all the little bars, restaurants, etc. you have very nice views over the cliffs, sea and the village itself. 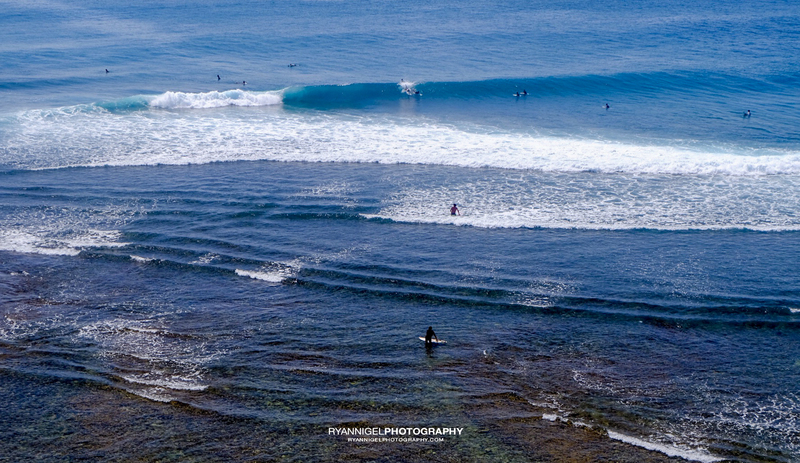 The place is all about surfing. 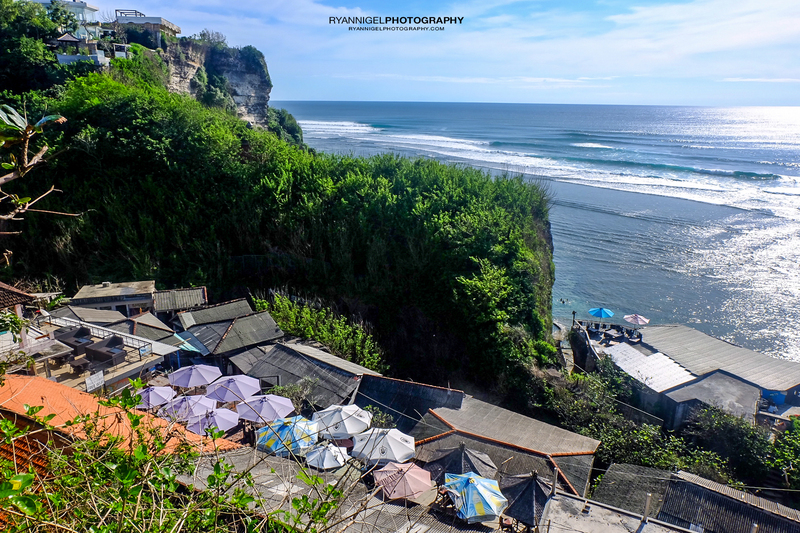 There are so many small surf shops all offering surf lessons, board rental, etc. 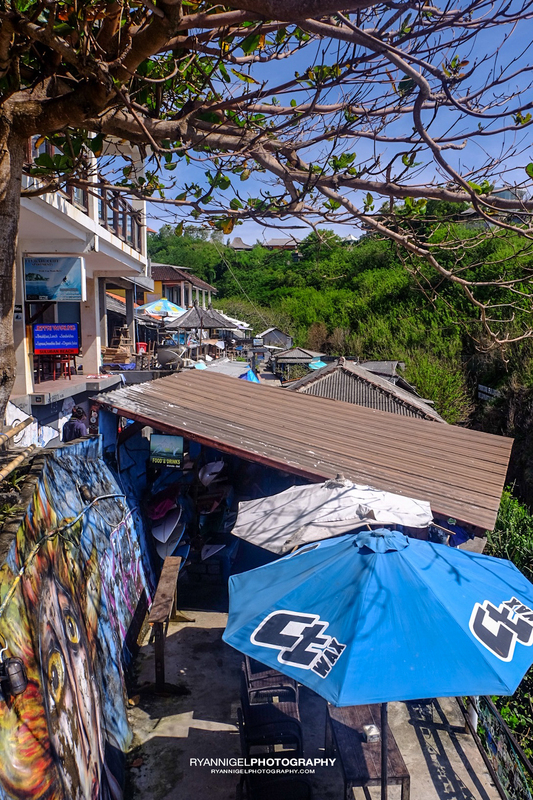 In between surf sessions you can hang out in one of the many places getting some food, drinks and relax till the next session. There are plenty photographers taking your shots and you can order the photos. 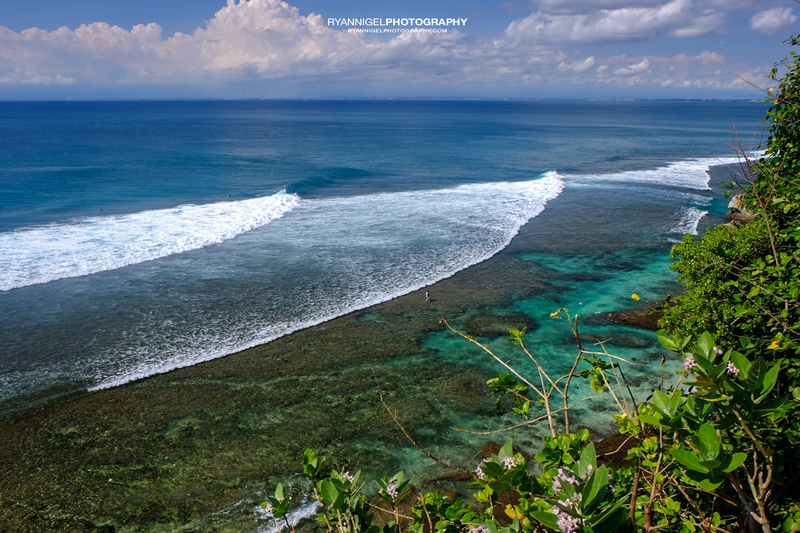 Besides great surfing Blue Point offers also stunning views. The place looks really spectacular, scenic and atmospheric. 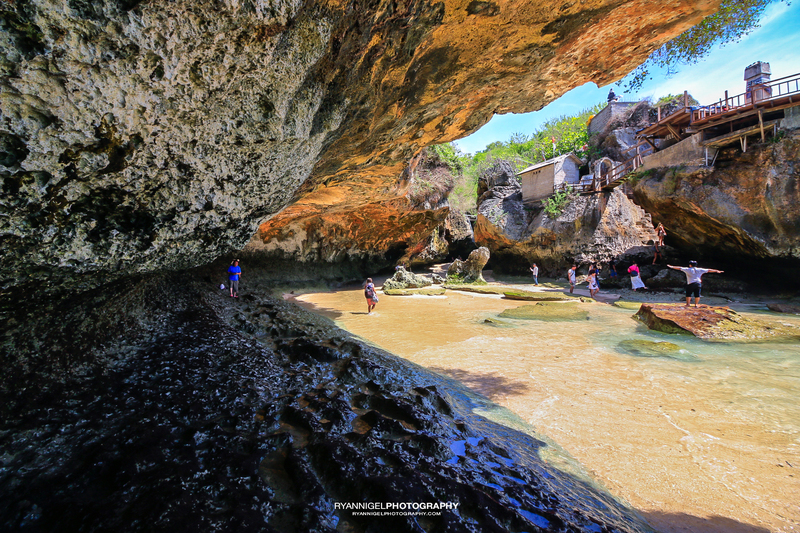 You can run up and down the cliffs to get your best shots ! 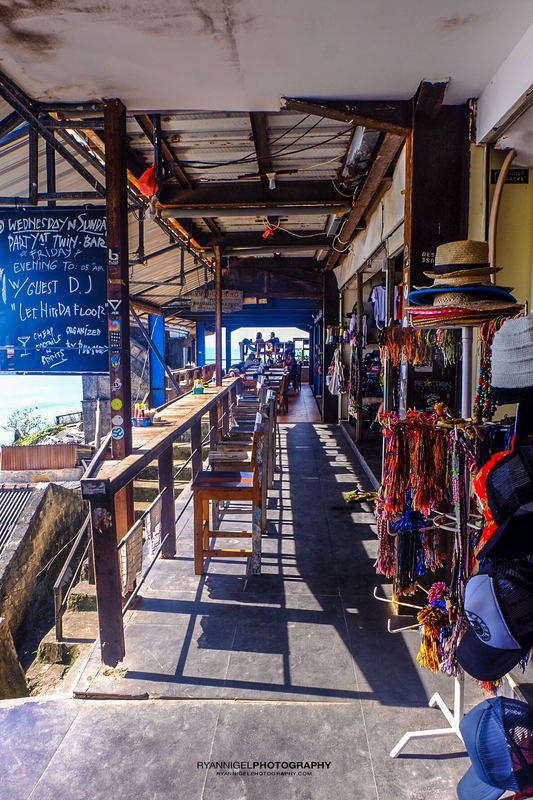 At evening you can have good food, nice sunset views and hang out with your new found surf buddies. All in all: a place to visit more than one time ! 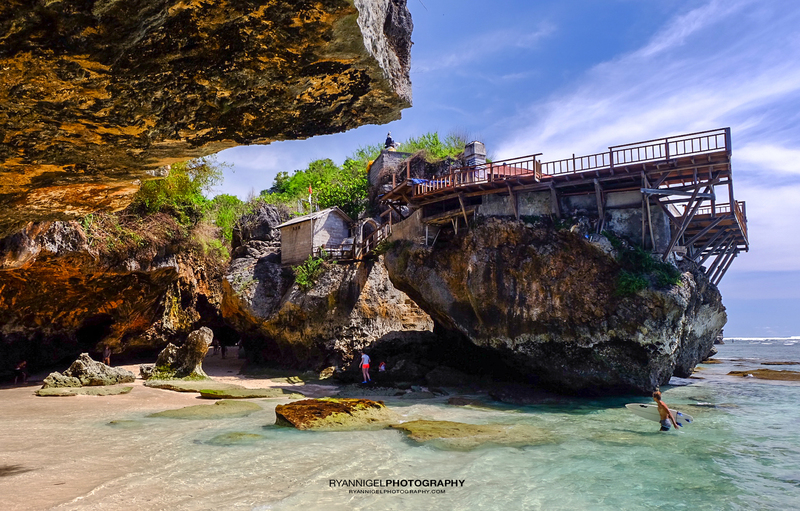 Same as for Ubud, Blue Point or Suluban is a tourist place. There is tons of info on the web. Here are some links. 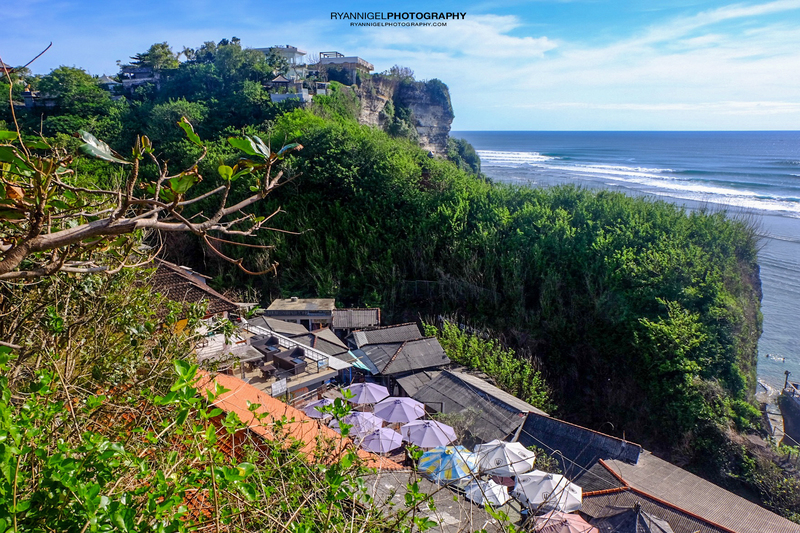 Well if you come from Ungasan like I do, you just follow the road to the Purah Uluwatu Temple. Just before the Temple take a right turn and follow the road. This road is called Jl. 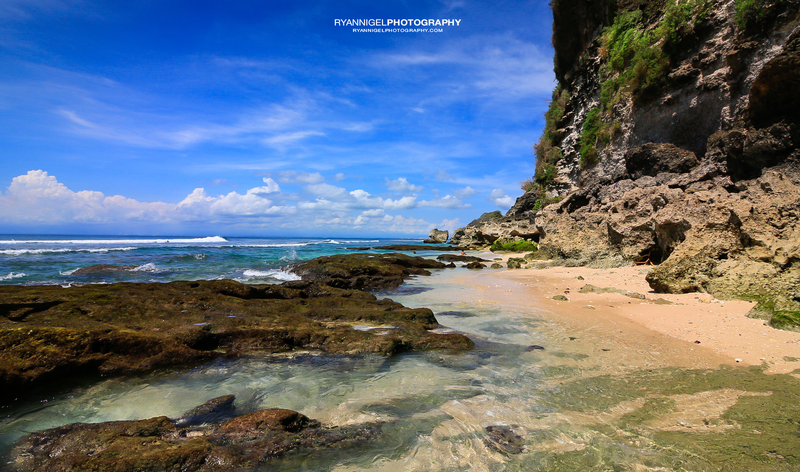 Pantai Suluban and just keep follow it till it stops. E voila you are there. Also at this beach you have to pay to park your motorbike. (about 3,000 Rph).